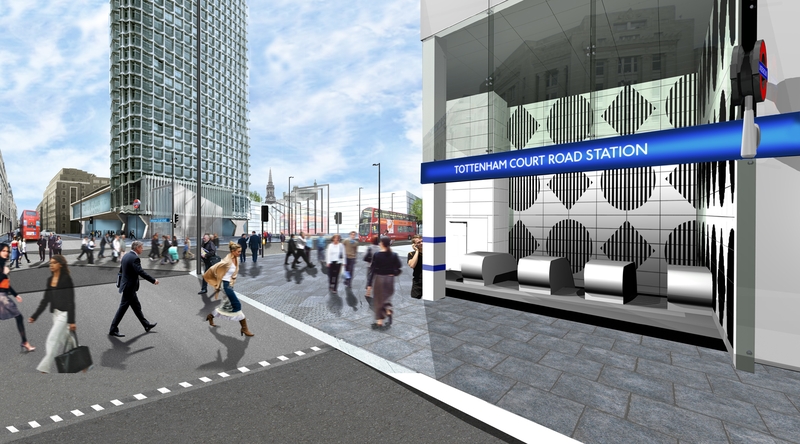 The project team were briefed to provide station modernisation and congestion relief at Tottenham Court Road station through a new Oxford Street Corner Entrance. 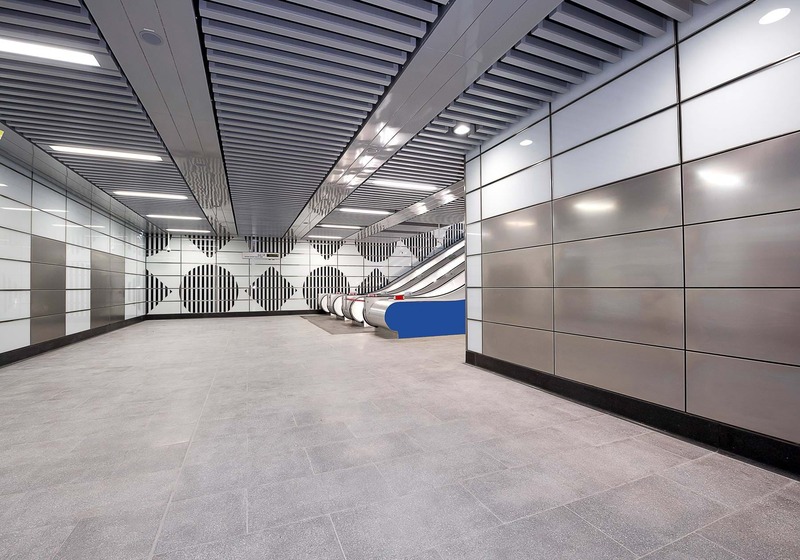 Designed for oversite development, a new Operations Building, modernisation of Central Line interchange tunnels and platforms including new stairs and the introduction of step free access have been delivered. In dealing with ever increasing demand, we delivered well-planned spaces, with efficient engineering that is both functional and delightful. 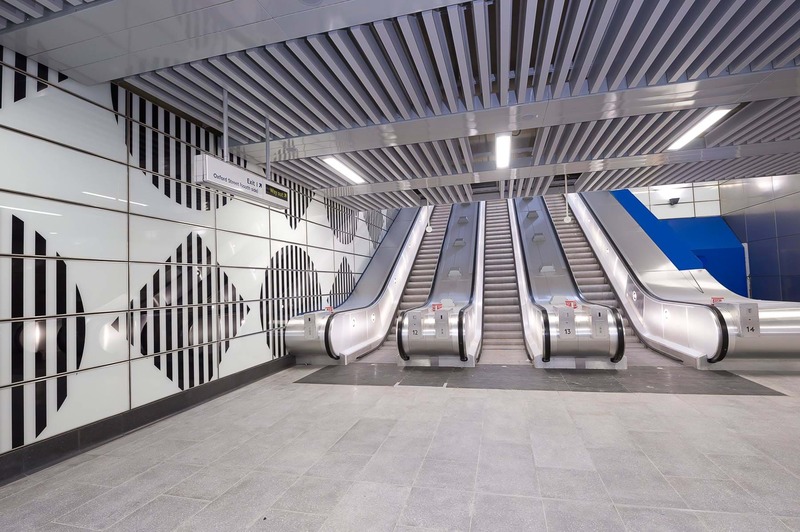 By applying the principles of London Undergrounds’ design language, we coherently created a sense of order, comfort and security that is consistent with the network and its heritage. 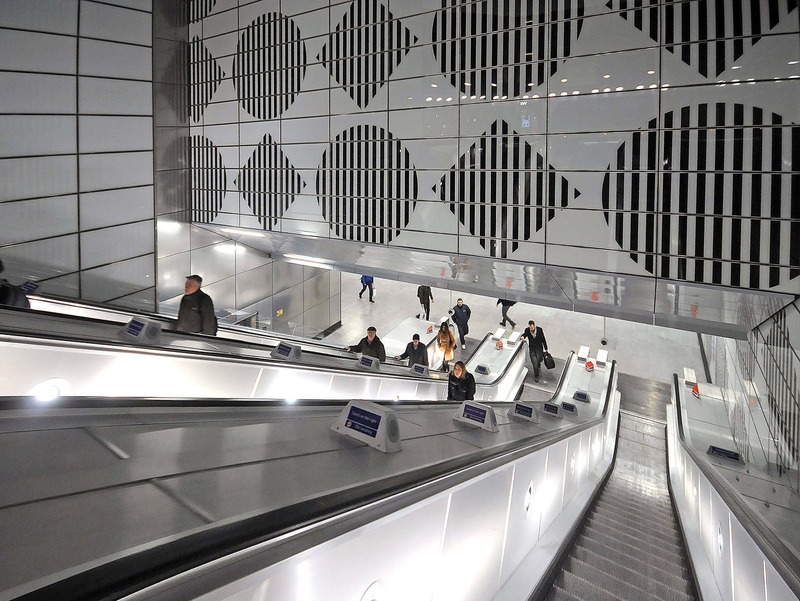 The accommodation of large scale civil and structural engineering allowed for the oversite development, whilst the design also allows for the new Elizabeth Line when the core section opens. 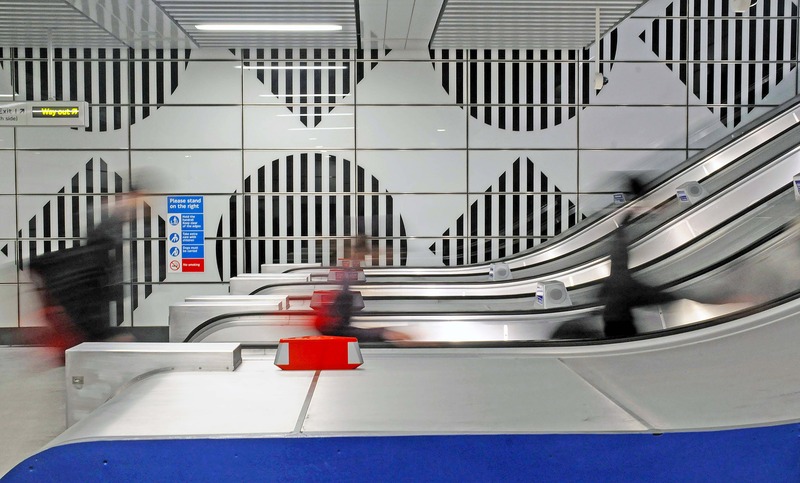 Art works, including the restoration of murals by Eduardo Paolozzi and the introduction of Daniel Buren’s 'Diamonds and Circles' - his first permanent public commission in the UK have been incorporated.